Heat the milk to just under boiling add the stevia drops and then the cocoa powder and stir briskly. Pour into a mug and enjoy when it is cool enough to drink. 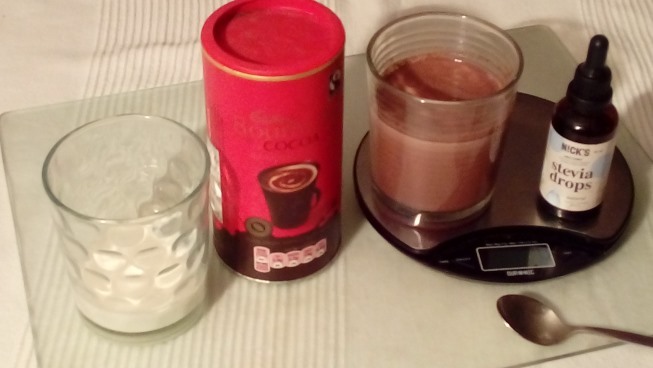 Enjoy this no added calorie chocolate drink, hot or cold. It is made with cocoa powder, milk and stevia drops. Stevia is a plant grown in South America. I have a plant growing in my kitchen. Stevia has been used in Japan for several decades but it is relatively new here.